Dr. Carter D. Ward announced his retirement as Executive Director of the Missouri School Boards’ Association (MSBA) after working with the organization for more than 40 years. At 68 years old, Ward said his decision was based primarily on age. He doesn’t have immediate plans to reengage in the work force but plans to spend time with his family. “It’s always been very meaningful, engaging work and it’s been real fortunate for me to have had the opportunity to be engaged in this work for a career,” he said. Ward’s retirement will take effect on June 30, 2015. He said he’s seen a lot of change in public education in his 31 years as Executive Director. “The issues are always fresh, they’re always compelling and the importance and the gravity of the situation as far as the need for strong public schools is greater today than it’s ever been,” Ward said. 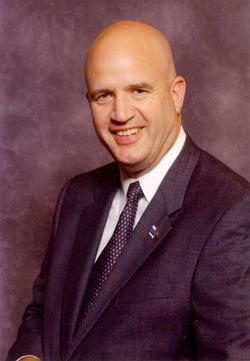 Ward began working with MSBA in 1973 and took over as MSBA Executive Director in 1983. He said it is hard leaving a career he was in for so long, but he knows that he’s leaving the organization in good hands. MSBA Spokesperson Brent Ghan said the organization will build on Ward’s success after his retirement. “Dr. Ward literally built this organization from a very, very small group of only two employees to, I think, one of the best school boards associations in the nation right now in terms of the programs, services and support we offer to our school boards across Missouri,” Ghan said. Ghan said Ward’s successor has not yet been determined. He said the Executive Committee is planning to take recommendations on how to proceed with its board meeting, which is to be held in Columbia in July.